I've not discussed it previously, but this seems an appropriate point to mention the tragic death of Jo Yeates, now that neighbour Vincent Tabak has been convicted of her murder. Jo went missing in Bristol on the 17th of December last year and her body was found in the snow on Christmas day. The case attracted a lot of media attention, but there was a particularly unsettling aspect for me as it became clear that the real events echoed a number of themes in my first (then unpublished) novel. Over Christmas, discussing the story with family, a number of parallels emerged. 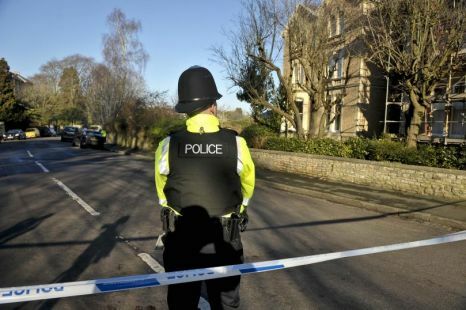 Although it was the first section I'd written (more than a year earlier) it was chilling to see so many coincidences - young blonde woman in Clifton, working for an architectural firm, found strangled. At the time, I stopped writing, and stopped sending out the manuscript - it just seemed inappropriate to continue with the project. The sickening nature of the case wasn't helped by the newspapers' evil persecution of Jo's landlord and, when he rather inconveniently turned out to be innocent, their snide criticism of Avon & Somerset Police. There was a sense of relief when Vincent Tabak was arrested, even more so when he admitted causing Jo's death. I felt able to continue with the books and was fortunate enough to secure an agent and publisher. Naturally, the story has now been altered. Even though there were lots of significant differences between the novel and the terrible events of last Christmas, it seemed important to make a few more changes, out of respect if nothing else. Now that Tabak has been convicted, hopefully the real-life story is over, and those impacted by his crime can get some closure. It's been a sobering journey, and one that puts a lot of things into perspective.